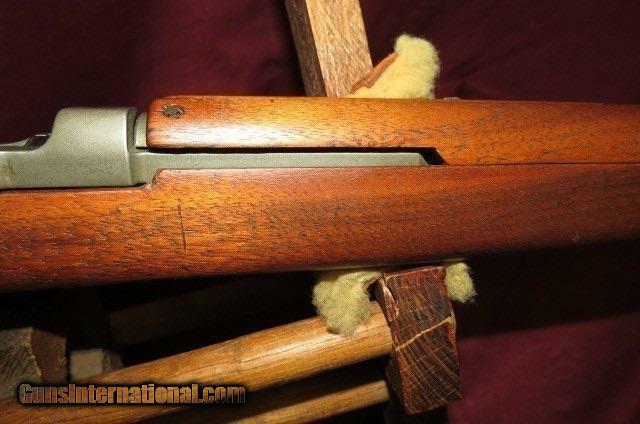 This is a very early Underwood manufactured M1 Carbine. 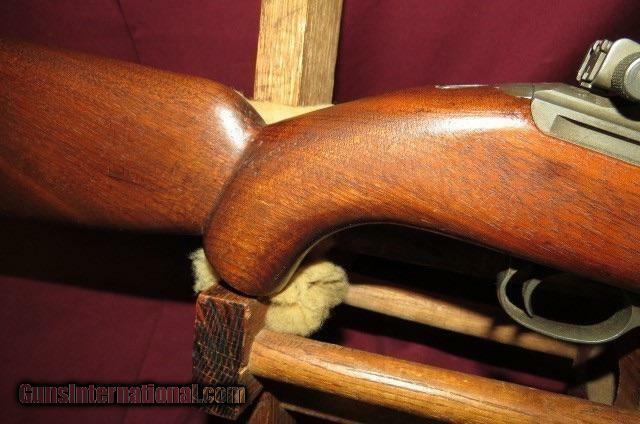 Early "High Wood Stock" unfortunately someone carved a better working pistol grip. 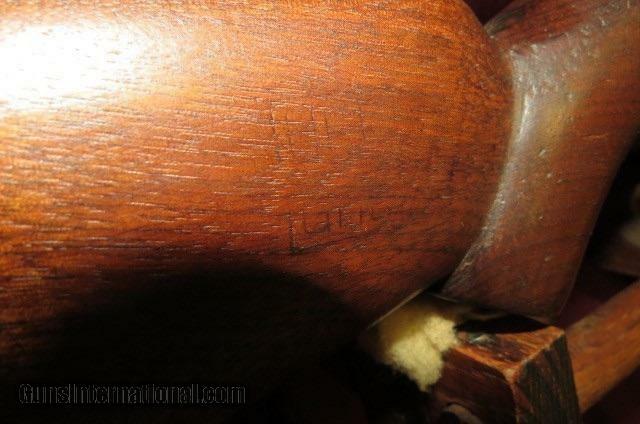 the serial number of this example is 14097XX placing date of manufacture in September 1942. 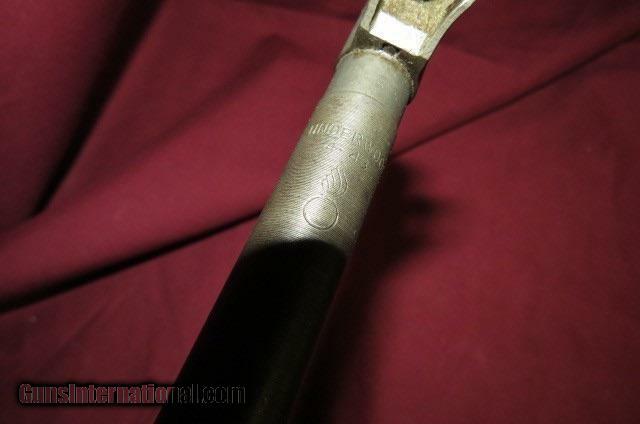 Overall condition of the metal is excellent with 95+% original untouched factory finish. 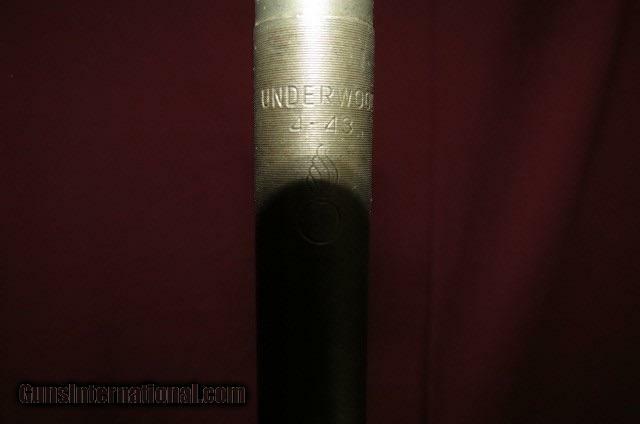 Type I underwood marked barrel band and Type II rear sight. The bore is perfect and will rate a 10 on a 1 to 10 scale. 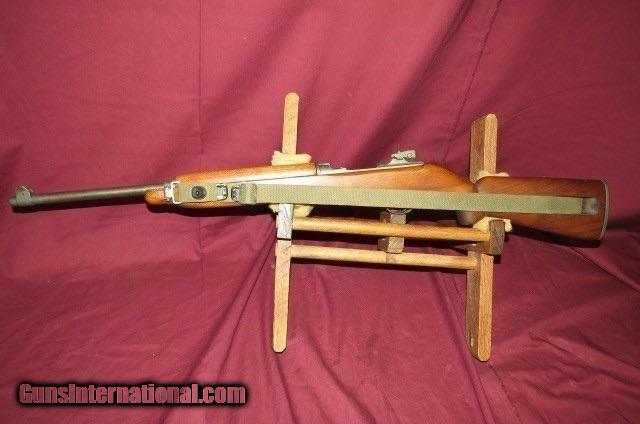 The bore is mirror from breech to muzzle. 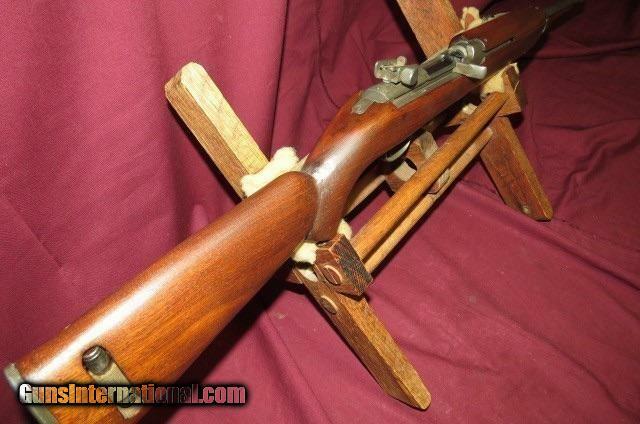 Correct sling. 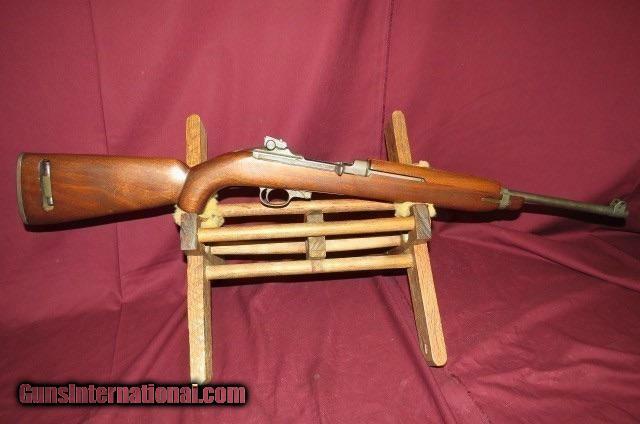 We do not disassemble these early carbines, unknown what the small parts count is. Please phone Tommy at (760)-912-3761 or e-mail all questions and concerns. $35.00 shipping., insurance will be additional.